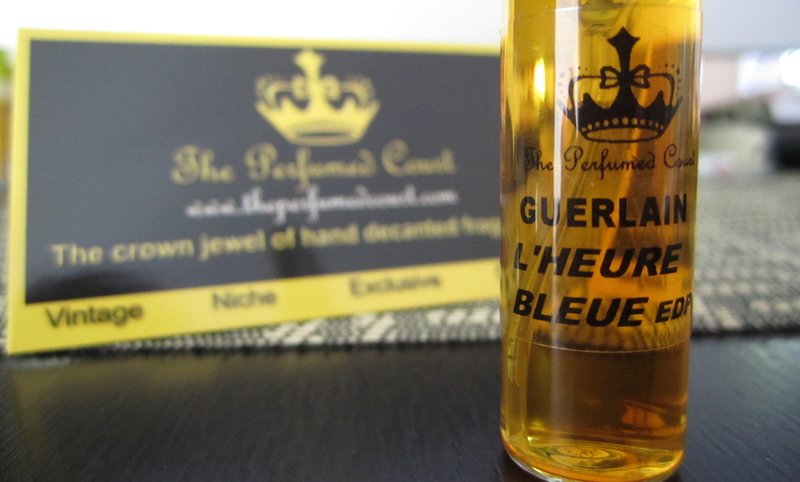 Today a package arrived containing a decant of L’Heure Bleue EDP, which I have been wanting to try, but that I did not buy. My conclusion is that you have generously decided to anonymously gift me with this treat, for which I am humbly grateful. It’s a really nice gift. I’m glad you have such great friends. Oh it was me, you dopey donkey. Sorry, I mean that in the nicest possible way. I’m glad it turned up. I had to do a bit of a fiddle at the check out, and the other day wen a plump little package arrived for me from TPC I thought for one nasty moment that it was the L’Heure Bleue, seeking me out like a homing pigeon. But thankfully it was my sample of Yatagan. Oh, Yatagan! And what did you think of it? p.s. Bas de Soie was going strong when the mail arrived, but now I am contentedly soaking in L’HB EDP. It IS different from the parfum and the EDT—of course, my only experience with the EDT is the vintage—and it seems smoother and rosier from the get-go. Which was (I went back and checked to confirm) exactly how you described it! Glad you like the L’HB. Not sure about Yatagan. I think I like it. Or, it may be too masculine for me. We’ll see, I’ve only tried it once. It is certainly worth having in the collection. HA! “Dopey donkey” must be an Australian expression, because I’ve not heard it before—it did cause a belly-laugh though! I wondered if it was you! Thank you so much Anne-Marie! You are too kind to me!!! Well, I made up ‘Dopey Donkey’ and I’m Australian, so I guess that makes it Australian. No thanks needed. It was your kindness that got this thing going in the first place.